What the Heck is Schema and Why Do You Need It? It seems like just when you think your website is fully optimized, the throbbing tech brains down in Silicon Valley come up with something else you need to know about! And while that can be frustrating, there’s some stuff you just can’t ignore. Enter schema.org. You may be asking yourself what schema is and why you need it for your dental practice site. You’re not alone—and no, it’s not a stupid question. Let’s dive in! What the heck is schema? Here’s the short and sweet definition: Schema is a bunch of HTML tags webmasters use to improve a website’s SEO. Aka bringing more traffic to your dental practice’s website. However, it’s not that simple. To get your dental business out there, you should make good use of search engine optimization and structured data. You need to structure all of your data so that it’s not floating aimlessly through the web—and that’s where schema comes in. Schema takes all of your online content—your products, Google and social media reviews, business listings, etc.—and marks them up. Schema is basically a translator for all of the big search engines, including Google, Bing, and Yahoo. It lets the search engines know exactly what data you want the search world to know about you. These 3 elements will appear in search engine results with proper schema.org markup. Source. Schema is the road connecting your business to the world’s most popular search engines. Search engines will automatically understand what every page of your website is saying, which takes all the guesswork out of it. And clear communication is always a good thing, right? Why do you need it, anyway? To put it simply, Schema is extremely valuable for your SEO. Think about it. Your dental practice thrives on word of mouth, online reviews, social media check-ins, and much more—and that’s a lot of data. Schema turns that unstructured data into structured data, giving your online presence—and maybe your life—more meaning. Schema may not give you better SEO rankings right off the bat, but it will improve your website’s capacity for search results, and create some rich snippets along the way. Why? Because you’re walking the walk and talking the talk. Google can see that your webpages are exactly what you say they are, which tells them that you have a quality website. Take a look at Google’s own site to see the benefits of structured data. Sure, schema sounds like a great strategy and all, but how do you get started? Google has made it simple for you. Just visit Google’s Structured Data Testing Tool to see how your dental practice’s site stacks up. When you run this test on your site, you’ll be able to see how Google views your page, and will be alerted to any errors or warnings. Watching this series of videos is also a great place to start. 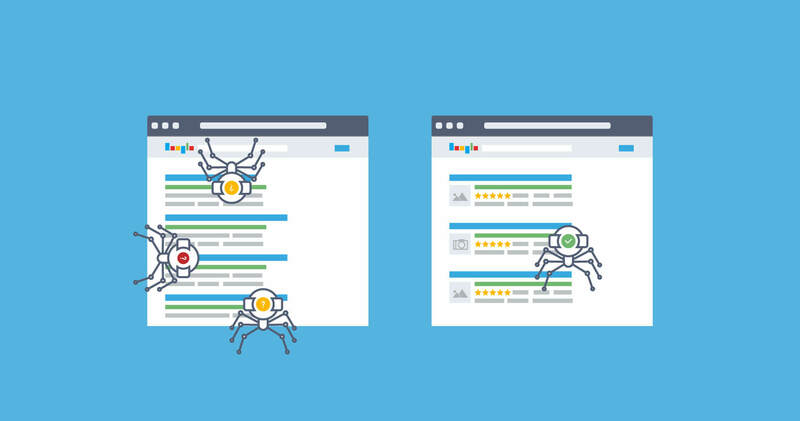 So here’s our challenge to you: Test your structured data, and do a little research into how schema can help your site rank better. Start scheming!